The health and environmental exposé below imparts critical information about the Monsanto weedkiller known as ROUNDUP. ROUNDUP kills weeds utilizing the chemical ingredient known as Glyphosate. Now here’s the problem … for every person who eats food and/or drinks beverages containing residuals of glyphosate. What does that mean? It means that the necessary eugenic bacteria found in the gut will be adversely affected by glyphosate. 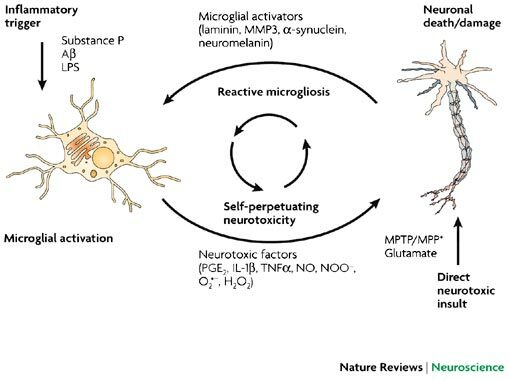 As the intestinal flora becomes more imbalanced from years of glyphosate ingestion, the opportunistic pathogenic bacteria slowly take over the GI tract. How is this “destroying our brains”? 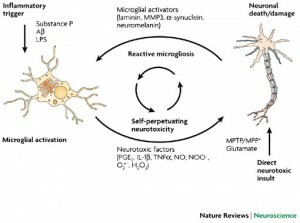 The bad guys — the opportunistic pathogenic bacteria — “produce lipopolysaccharides, which will then trigger the immune system to produce a pro-inflammatory cycle” … “this then initiates a brain-degenerating pro-inflammatory process in the brain.” Once those lipopolysaccharide-producing bacteria become the dominant strains in the gut, this self-perpetuating cycle occurs on an ongoing basis, imperceptibly altering our brain chemistry. And, not for the better! That’s why the following title asserts that Monsanto’s ROUNDUP is relentlessly “destroying the health of everyone”. The pervasive use of glyphosate via ROUNDUP and GMO seeds bio-engineered by Monsanto is impossible to contain. Once they are introduced into the environment, they end up everywhere — on the land, in the waters and in the atmosphere. Therefore, strict adherence to a diet of only certified organic, GMO-free food is no longer the insurance policy that it used to be. The only solution appears to be an ‘enforced’ global boycott of all things Monsanto. Interested in slowing your aging process? Take note! 1) Pathogenic bacteria overgrow in intestines and create waste products (LPS) which activate the immune system to respond and produce a chemical called “Interleukin 1b”. 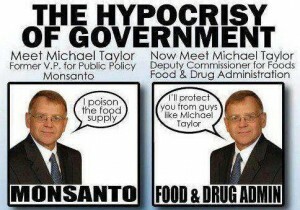 Unfortunately , there is a fascistic relationship between the government and Monsanto. 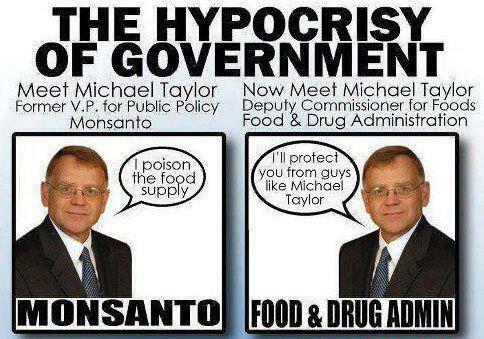 Our current “Food Safety Czar” at the FDA is former VP from Monsanto, Michael Taylor. Additionally, Clarence Thomas, who sits on the Supreme Court, has never recused himself of any Supreme Court case related to Monsanto, despite a clear conflict of interest given the fact that Clarence Thomas is a former lawyer for Monsanto. (8) Government is now acting to make sure that the Monsanto machine isn’t stopped.